Water is one of our most valuable natural assets. We have a responsibility to the people of NSW to ensure we have an equitable and transparent approach to the management of our water now and for future generations. 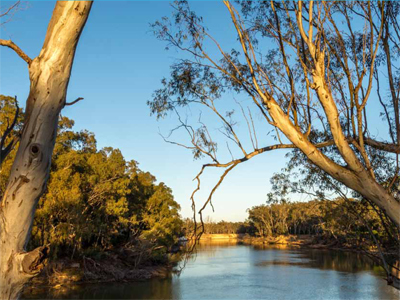 support the wellbeing of rural and regional communities who enjoy the recreational benefits our regional waterways provide. The NSW Government's Water Reform Action Plan outlines how we will deliver on our goals. A number of changes are planned and underway. The NSW Government is building a compliance and enforcement regime that ensures strong and certain regulations for water in the state. We have established a new, independent regulatory body to oversee water management in the state. The NSW Natural Resources Access Regulator is led by a board appointed by the minister. The board has a range of strategic and operational compliance and enforcement functions, including determining whether or not to prosecute serious regulatory breaches. The regulator is responsible for adopting and implementing new monitoring and compliance techniques and technologies such as remote sensing of crop growth and water holdings, back-to-base and remote meter reading and telemetry, and targeted covert operations.